I was relatively surprised that I enjoyed Star Trek: Discovery especially considering some of the backlash among certain segments as well as that the writing could be a bit clunky but got roped in as the season went along. Paramount has announced the date and released artwork for the latest in the franchise, Star Trek: Discovery. Click on the link below or image to the left to check out the features and artwork. 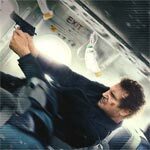 Non-Stop might not re-write the manual on the suspense/thriller and the script seems culled from the 1990s, but it’s an enjoyable flick and another winner with Liam Neeson in the lead who has proven to be more than a capable action hero. All the Boys Love Mandy Lane had the potential to be something special and transcend the horror genre but instead it was a bit of a bore and showed why it merely made its way around the film festival circuit, never landing a distribution deal. 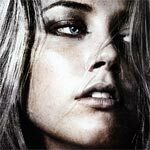 However, and acknowledging it isn’t her best work, Amber Heard is the highlight in an otherwise forgettable film.